The story of a mission, and the people, foundations, companies and governments who came together to put an end to Neglected Tropical Diseases. In 2012, Legatum established the END Fund as an independent vehicle to bring together private donors to accomplish one big goal: to see an end to Neglected Tropical Diseases (NTDs) in our lifetime. Unbeknownst to most, these debilitating diseases affect one billion of the world’s most vulnerable and marginalised people, through chronic disability and morbidity. However, these diseases are both preventable and treatable. With Legatum’s vision to see a more prosperous world for all, and their unwavering belief that every life is of infinite value, they saw it as their role to step up and help solve this global issue. This was to be a story of a mission, and the people, foundations, companies and governments who came together to put an end to this global challenge. The journey began in 2006, when one of Legatum’s partners, Alan McCormick, read a newspaper article which explained that by combining modest funding with a little imagination, you could effectively treat this basket of malevolent diseases that had otherwise been neglected by donors. With a broader vision always in mind, Legatum decided to set themselves a larger, more audacious goal - to not only treat these diseases, but to control and eliminate them all together, and in turn, effectively change the lives of more than a billion people. After considerable research, they devised a programme which would be tested in two of Africa’s most challenging countries, Burundi and Rwanda, both of which suffered extensively from NTDs. 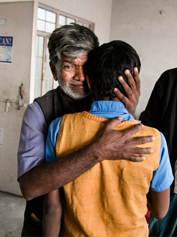 As a result of their work, 9.7 million people were treated in just four years. It became apparent that controlling and eliminating these diseases once and for all was, in fact, possible and Legatum had the evidence. But they knew they couldn’t do it alone. From years of experience of investing in those at the bottom of the prosperity ladder, they knew that collaboration was key to sustaining impact. It was for this reason that they established an organisation independent of the Legatum name, sought and empowered a CEO to lead the new initiative, and invited other donors to join them in their endeavour. By relieving themselves of ownership, Legatum instead became a passionate adviser, donor and active partner. "The END Fund, described as 'the Médecins Sans Frontières of NTDs,' had already raised over $75 million"
The organisation was to be called the END Fund and would be positioned as a philanthropic investment vehicle that encouraged other philanthropists and social investors to come together and invest in NTD control. 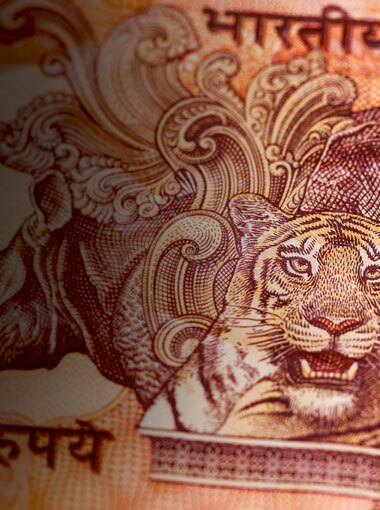 This movement would in turn help foster more prosperous societies. So far, the Fund has seen outstanding results. By the end of 2016, The END Fund, described as “the Médecins Sans Frontières of NTDs,” had already raised over $75 million and delivered over 330 million treatments to over 140 million people through Mass Drug Administrations. The next step on the journey, and Legatum’s near-term vision, is to see the END Fund work together with its partners to free a billion people of these diseases in the next ten years. Legatum believes that nothing is impossible. Alan McCormick visits a Mass Drug Administration in Ethiopia 2014, eight years after he read the Financial Times article on Neglected Tropical Diseases. 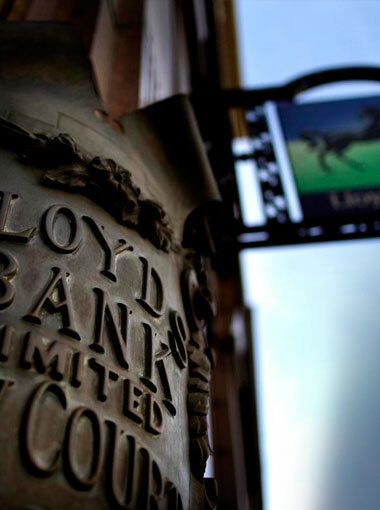 The article that had caught the eye of McCormick all of those years ago, had been featured in the Financial Times, authored by Andrew Jack, a Health Journalist. 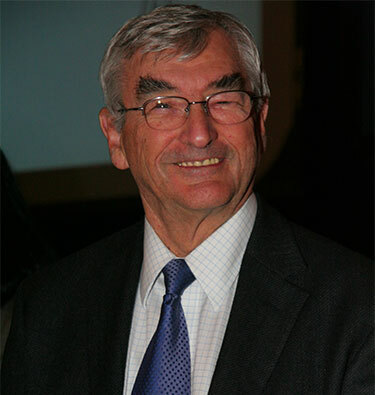 It had been based on an interview with the now retired Professor Alan Fenwick, one of the leading Parasitologists of his time , who spoke about funding for his research project on NTDs. It detailed that such treatable ailments “do not need innovation, but simply modest funding and a little imagination in order to distribute drugs to those in need.” McCormick realised that, potentially, Legatum’s Foundation could provide both. He was inspired by the idea that it might be possible to change the lives of millions, by freeing them from the burden of devastating illness, and all for as little as fifty cents per person. He picked up the phone and dialed for Fenwick. Burundi - a young boy suffers from Trachoma, a contagious bacterial infection of the eye, which causes blindness. NTDs, which are caused by parasitic worms, protozoa, and the bacterial agents of leprosy, Buruli ulcer, and trachoma, have a long, indeed ancient, history. As detailed in a 2008 paper by Peter Hotez, a professor of Pediatrics and Molecular Virology & Microbiology, “Descriptions of leprosy, schistosomiasis, guinea worm, hookworm, trachoma and other NTDs are found in the Bible.” In fact, one of the diseases, Dracunculiasis medinensis, colloquially known as the Guinea Worm, is believed to be the ‘fiery serpents’ that attacked the Israelites in the desert during their exodus from Egypt. Today, 17 diseases are clustered under the umbrella term ‘Neglected Tropical Diseases’, but this has been a gradual evolution. In 2002, the United Nations set out its Millennium Development Goals (MDGs), as part of a framework for global development. Two MDGs related to health; the fifth to improving maternal health, and the sixth addressed the need to ‘Combat HIV/AIDs, malaria and other diseases’. Vast sums of money were being channeled into preventive programmes for the named diseases - treatment for HIV/AIDs, for example, exceeded $200 per person in 2005. However, this vague categorisation of ‘other diseases’ not only created a second-tier of global disease management, it also created a funding gap. 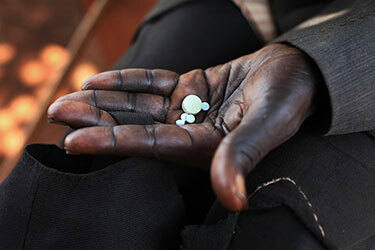 A man holds out his hand to show the tablets that cure his community of Neglected Tropical Diseases, Burundi 2010. “We soon realised that the major parasitic infections, as well as some selected bacterial and viral infections could be thought of in aggregate as a group under the banner of the Neglected Tropical Diseases or the NTDs for short. The NTDs are the most common infections of poor people, and also the most important in terms of their health and economic impact. In many respects, their burden of disease rivals those of better-known conditions including HIV/AIDs, even though most people have never heard about NTDs. This continues to surprise us given that NTDs are ancient conditions that plagued humankind for centuries.” This plague, however, is now on the verge of ending. A local community organisation manages an MDA in Burundi to reduce NTDs in the region. Eager to learn more, McCormick went to meet with Fenwick at his offices in London, which co-incidentally, was in the same building in which Alexander Fleming discovered penicillin. Significantly, it was also a meeting of minds. “I could see Alan was excited,” remembers Fenwick. 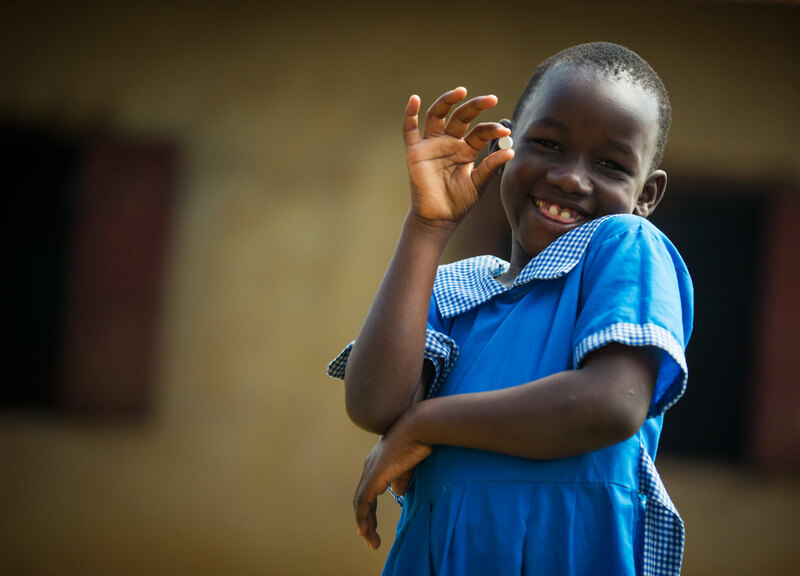 Through his organisation, Schistosomiasis Control Initiative (SCI), Fenwick had been developing an integrated approach that would effectively treat large populations suffering from NTDs. These diseases first became apparent to Fenwick in Egypt in 1988 and would influence a 14-year project to control schistosomiasis, an infection caused by parasites living in fresh water. It was around this time that Praziquantel was first released, a key drug breakthrough that prevented these parasitical diseases. Despite a few inevitable setbacks, by 2008 his method, having previously been eschewed by larger funding organisations as too risky to fund, was accepted as the best performing strategy to treat a whole population. McCormick, and his Partners at Legatum, made the decision to draw up a plan with Fenwick to trial his integrated approach. As private philanthropists, they had the ability to move quickly and nimbly and take risks. After much research, it was agreed that Burundi would be the first country to trial this type of programme. At the time, Burundi was a country with a very fragile infrastructure emerging from over two decades of civil war, but, seeing the benefit of this programme, the Health Minister placed trust in Fenwick, Legatum and their philanthropic advisors, Geneva Global. The first step was to map the region in order to define the population at risk and to roll out drug delivery at a national level. By collaborating with the government, Legatum and Fenwick successfully implemented a country-wide integrated NTD control programme which included one of the first Mass Drug Administrations (MDAs) for $4.4 million. The programme also provided vaccinations, bed-nets, and micronutrients in addition to the NTD treatments. In total, over 31 million treatments were delivered for intestinal worms and schistosomiasis. With a further $3.3 million, Legatum replicated this programme in Rwanda, where they also had a presence. Whilst a seemingly obvious approach, Legatum and Fenwick’s model was the first of this nature that had ever been undertaken. The overall model proved to be a very significant innovation, instantaneously making its mark on history. Legatum was able to fund the entire project, implementing all work in the field through Geneva Global. In addition, pharmaceutical companies, GlaxoSmithKline, Johnson & Johnson, Merck, Pfizer and Merck Serono, played an overwhelmingly generous role of donating the majority of medicines. “We did what had never been done. In Rwanda and Burundi, we took a whole country, drew a line, mapped it for disease prevalence and dosed the people who needed it. It was a big, hairy, audacious goal, but we did it,” comments Mark Stoleson, CEO of Legatum. As a result of these pilot programmes, 9.7 million people were treated in just four years. In Burundi, prevalence of schistosomiasis (bilharzia), an infection caused by a parasitic worm, was reduced from 12% to 1.4% from 2007 to 2012. 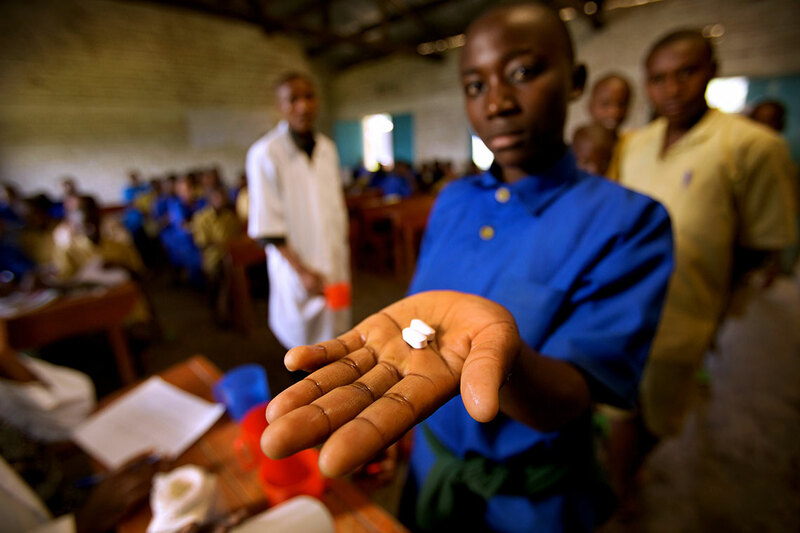 A young boy holds a tablet at a Mass Drug Administration against intestinal worms and schistosomiasis in Rwanda, 2010. By 2012, with Legatum’s funding and leadership, Burundi had become the first Francophone country in the region to officially launch an integrated national plan of its own to combat NTDs. ‘Burundi’s new national plan offers the clearest indication yet that African governments are committed to eliminating NTDs as a public health threat through integrated programmes,’’ said Dr Neeraj Mistry, Managing Director of the Global Network for Neglected Tropical Diseases. "The leap of faith that Burundi’s government displayed resulted in a domino effect"
The success of the programme grew from the marrying of private philanthropic investment with a country-led plan to administer twice-yearly MDAs, as well as the implementation of sanitation and hygiene education programmes. The integrated approach to implementation was making the biggest difference, as well as educating in relation to using latrines, wearing shoes, and using soap. Some of the schools even initiated hygiene clubs, in which children sing songs about the importance of using soap to stay disease-free. 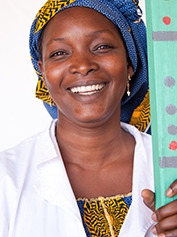 The leap of faith that Burundi’s government displayed resulted in a domino effect, and, soon enough, match-funding was offered from a variety of partners from all over the world. In Rwanda, on the other hand, the government was unable to provide the required resources for a national plan; a symptom of a country still struggling to recover after the 1994 genocide. Legatum’s funding was therefore crucial and provided Rwanda with an incredible opportunity to implement a fully integrated control project against seven NTDs. 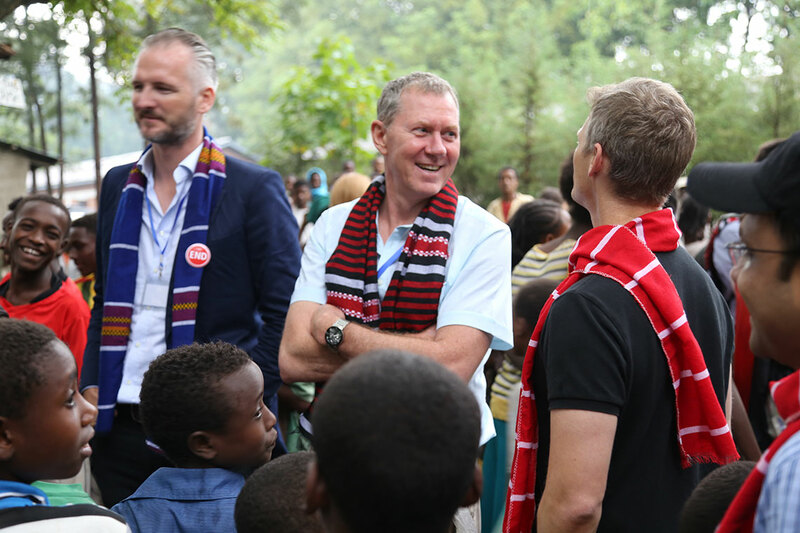 Alan McCormick, Doug Balfour and Mark Stoleson visit Ethiopia in 2014 to see a Mass Drug Administration taking place in a local school. It was after the success in Burundi and Rwanda that Legatum first began to think bigger about the issue at hand and consider a global fund for NTDs. "we realised that ideas need champions and so we began looking for someone who could hold the flag"
“We were attending an event at the House of Lords in the UK when Christopher Chandler, Legatum’s Chairman, asked Alan Fenwick how much it would cost to rid Africa of NTDs,’’ recalls McCormick. “Alan replied that between $1 - $2 billion would be required to bring down infection rates to manageable levels and in many cases eradicate these diseases.’’ Legatum concluded that this probably underestimated the funds required and while even this was a huge sum of money, in terms of global health it was paltry, and moreover perfectly realisable through the right vehicle. Whilst on a trip to Rwanda to see some of their development work being implemented by Geneva Global, the Legatum leadership team were introduced to Bill Campbell, who was coincidentally staying in the same hotel. Fate was again playing its part. Bill Campbell and his family had been searching for causes that they could contribute more than just money to – a cause that would enable them to literally ‘touch’ the philanthropy they were involved in – yet so far they had been somewhat unsuccessful in pinpointing such a model. “I was looking to do something good with the latter part of my life and in 2001, together with my wife and daughters, I created the Campbell Family Foundation,” adds Campbell, Senior Advisor to the Chairman of JPMorgan Chase & Co and President of Sanoch Management. Campbell recalls a conversation with a friend in Washington who knew that he was interested in global health, who told him “you need to come to Rwanda and see a mass drug administration happening for children affected by Neglected Tropical Diseases.” This was of course the work of Legatum and Alan Fenwick in partnership with the Rwandan government. Legatum, admiring Campell’s undeniable passion, later appointed him as Chairman of the END Fund. Campbell’s appointment accelerated Legatum’s search for a CEO, and soon enough, they met Ellen Agler who had been serving as “Senior Vice President for International Programs” at Operation Smile, an international medical charity for children. “NTD prevention is a driver for whole health services"
Here she had managed programmes to provide comprehensive care to children with cleft lips and cleft palates in over 60 countries in Latin America, the Middle East, Africa and Asia. Her experience and expertise were a sure fit for Legatum’s long-term vision for the global fund they were creating. And so, the baton was passed onto Agler, whom Legatum was confident would serve well as the END Fund’s inaugural CEO. “The distinctive thing that Ellen has brought in her leadership is a huge competency around building an organisation but also enormous warmth and compassion. With the combination of these elements, she has made the END Fund something really special,’’ comments McCormick. Thrilled to be part of such an initiative, Agler adds “there was little private philanthropy that focused on NTD control when the END Fund was first envisaged. Today, we are here to provide an opportunity for humanitarians or philanthropists to invest effectively in this cause. We have a partnership model that allows us to be very nimble and flexible”. END Fund supporters climb Mount Kilimanjaro to raise funds and awareness for the END Fund. An example of this flexibility was seen in the first year of launching the END Fund, when a dangerous coup broke out in Mali. This coup was an unexpected consequence of the downfall of Muammar Gadaffi in nearby Libya, which served to destabilise the region, directing weapons into the waiting arms of Toureg rebels, who had been fighting – unsuccessfully – for the Libyan leader. As the international community sought to quell the coup as quickly as possible in the country previously held up as a model of democracy in Africa, another threat, potentially even more dangerous, was manifesting. 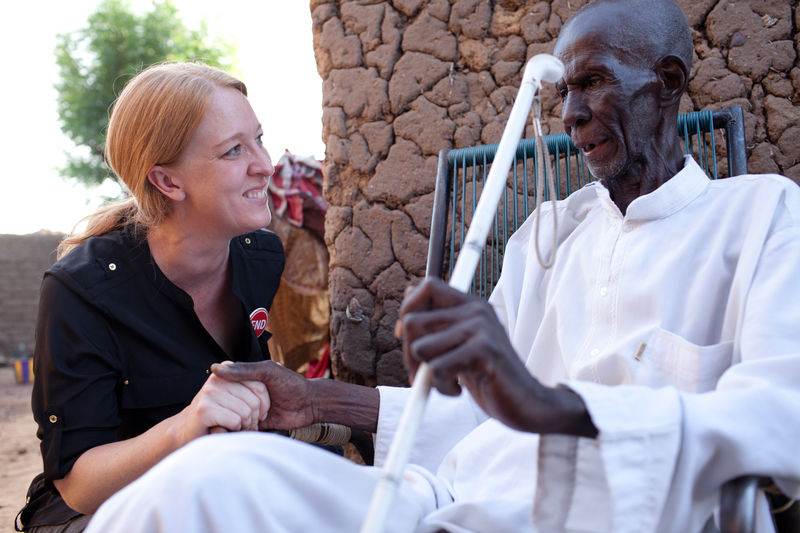 Eleven million people in Mali were suffering from NTDs. A series of prevention programmes across the landlocked country were in place as the coup ignited, but as instability and unrest became entrenched, funders were obliged to freeze investments. Even USAID suspended its activity temporarily. To stop the prevention and treatment programmes as the conflict spread may well have proved a bigger disaster in the longer term for Mali and its people than a bloody civil war. Cutting off support at the critical point would have set it back decades in terms of NTD control, putting millions of people at risk of reinfection. Agler immediately approached Legatum, asking to redirect some of their initial funding toward efforts in Mali, where the funding gap had been left wide open as a result of the coup. Trusting her knowledge and expertise, Legatum agreed to underwrite the initiative. This commitment provided the END Fund with the backing it needed to act, while at the same time provided reassurance to other donors. Stepping forward when others did not helped to restore confidence in the region and, within a year, the END Fund had close to US$2 million worth of commitments. Even in the midst of a violent civil conflict millions of treatments to the very poorest people in the most remote communities were able to continue. USAID and other agencies were later able to re-enter the country and resume where they had left off. Ultimately, six new donors to the END Fund, primarily African natural resources companies, stepped into the breach and funded the project. “We are demonstrating that private philanthropy is truly innovative,” says Stoleson. This extraordinary story exists because of the power of private philanthropy, and its ability to move swiftly and deliver impact when and where it is most needed. "The END Fund is a beautiful example of what can be done when people with a vision collaborate and work together on a problem"
Legatum’s involvement with the END Fund remains very strong; its role continuing to flourish, as adviser, donor and active partner. The main achievement of Legatum in relation to NTDs over the past decade can be encapsulated in the 330 million treatments their funding has unlocked. Their work has also led to Alan Fenwick’s organisation SCI winning the prestigious Queen’s Anniversary Prize 2008. 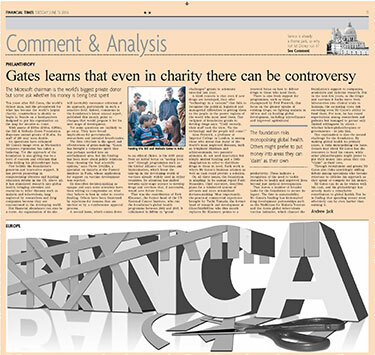 Fenwick’s gratitude and praise is grounded in the fact that Legatum were willing to fund MDA when other funders considered it either too risky or simply unproven. “Legatum have shown themselves to be world leaders in a cross section of support to poverty in the world, not just to health, not just to NGOs, but to supporting small business and other projects when that funding was just not coming from anywhere else,” he says. 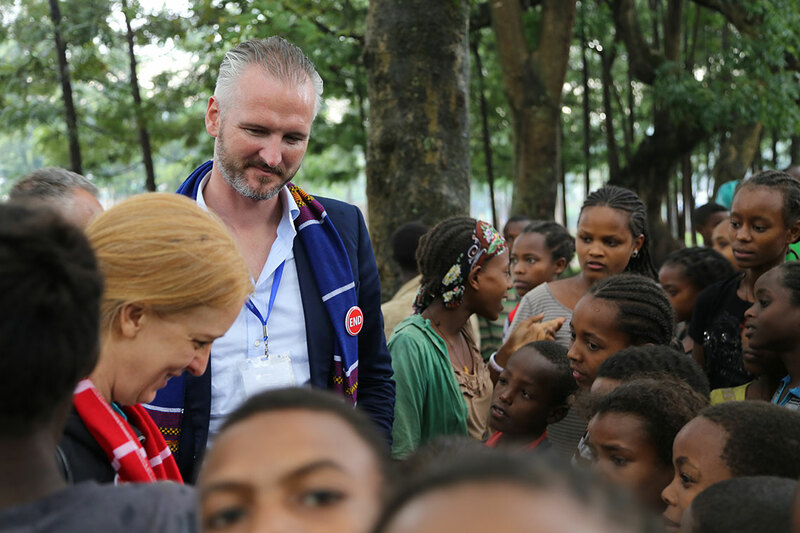 Ellen Agler and Mark Stoleson visit Ethiopia in 2014 to see a Mass Drug Administration taking place in a local school. The eventual elimination of NTDs in the developing world will be a critical marker for poverty alleviation. Max Houghton is a writer, editor and curator in the field of contemporary documentary photography. She is Course Leader of MA Photojournalism and Documentary Photography at London College of Communication, University of the Arts, London, where she is an active member of its research centre, PARC. Her research interests include aesthetics and justice, text/image relations and the work of W G Sebald. She writes regularly for the international arts press, including FOAM, Photoworks and The Daily Telegraph, and is writing a book on emerging female photographers to be published by Thames & Hudson Autumn 2017. Max hosts regular public talks in London, at The Photographers’ Gallery, Royal Institution and The Frontline Club. Visit the END Fund website to learn more.